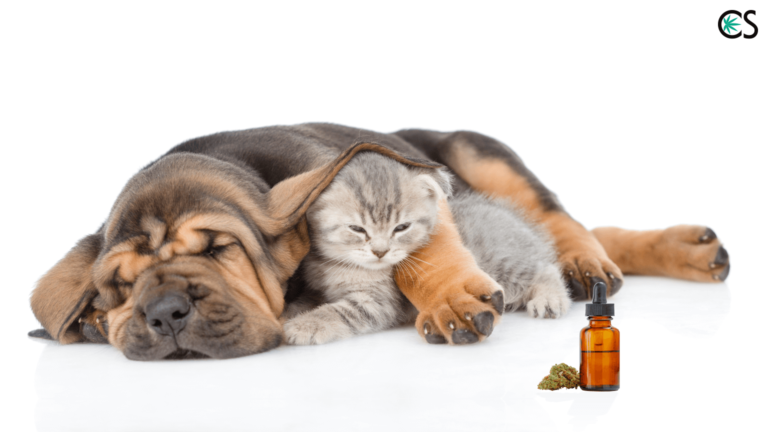 Is it ok to use CBD Oil for Pets? With cannabis being either recreationally or medicinally legal in over half of the United States, it is no surprise that consumers are becoming increasingly curious about the medicinal properties of hemp. Studies have found this not-so-humble plant packs a serious punch. THC and CBD, two major compounds found in cannabis, are responsible for the majority of the medicinal effects. THC has anti-inflammatory, antispasmodic, and appetite stimulating properties. THC is also the compound that makes you feel high. Recreational users (and some medical patients) usually look for a strain with a high concentration of THC. CBD, on the other hand, is non-intoxicating. If extracted on its own, CBD will not make you feel stoned in any way. CBD has many medicinal benefits including anti-inflammatory, antipsychotic, antioxidant, and anticonvulsant properties. Medical patients typically look for strains (or extracts) with a high CBD concentration. We have a fairly good grasp on the effects of cannabis and human consumption, but what about our pets? Surprisingly, all mammals are born with an endocannabinoid system. The system, also known as the ECS, is located in our brain and throughout our nervous system. The endocannabinoid receptors that make up the ECS play a role in managing our appetite, pain-sensation, mood, memory, and in regulating the effects of cannabis. It’s pretty interesting that all mammals are born with a system in place to regulate the consumption of cannabis! Before you spark one up with your dog, it’s important to note the effects that both THC and CBD have on our furry friends. CBD, as previously mentioned, is non-intoxicating, and generally considered to be harmless for your pet when taken in reasonable doses. We’ll come back to that. THC however, has been shown to be toxic to animals in moderate amounts. Like humans, THC releases serotonin and a handful of other chemicals in the mammal brain. However, while the release of these chemicals in humans is controlled and moderate, the reaction caused in smaller mammals, specifically pets, is overwhelming. Moderate THC consumption in pets can cause loss of bodily control, incontinence, irregular heartbeats, seizures, and excessive vomiting. If you’re still not convinced (and if that’s the case, you shouldn’t own a pet) a few, very tragic cases of pets consuming massive doses of THC have died. With that being said, we will only be focusing on CBD infused products, not THC. If your pet has consumed THC accidentally (or otherwise), call your vet immediately. There are a few common methods of extracting CBD from hemp plants along with a very small, legal (less than 0.3%) amount of THC. Some CBD companies completely remove any trace of THC, and some leave behind a small, legal amount (no more than 0.3%) creating what is called the entourage effect. Studies have found the effectiveness of the cannabis compounds (THC and CBD being two of 480 cannabinoids) increases when minor amounts of the other cannabinoids remain in the extract. The synergetic effect the cannabinoids have on each other is what makes cannabis so effective. The very tiny amount of THC left in the extract is not likely to harm your pet, but if you’re worried about it, there are a few pet relief providers who completely isolate CBD, leaving THC out of the picture. A frequently used method is alcohol extraction. The chemist begins with a high-CBD, low-THC hemp strain. The plant is soaked in a solvent, in this case, alcohol. After a period of time, the alcohol evaporates (usually with the help of a Roto-Vap), leaving behind the CBD oil. Another common method is CO2 extraction. The plant is put in a pressurized and temperature controlled chamber, where CO2 is then forced through the vessel, separating the cannabinoids from the raw plant material. Both methods can be time-consuming and require some pretty hefty equipment. With plenty of trustworthy and knowledgeable CBD companies out there, I’d leave the extraction to the professionals. CBD is a useful tool in treating a wide range of ailments in both humans and pets. CBD has been known to treat the negative symptoms associated with seizures, cancer and harsh cancer treatment, anxiety, allergies, appetite loss, arthritis, weakness with aging, and more. If your pet is experiencing any of the following conditions, CBD treatment may be an organic, viable option. Because cannabis was unjustly outlawed for so long, scientific research is limited. Hundreds of testimonials are out there, but the long and strenuous process of formal research has struggled to keep up. Until the scientific community officially recognizes the benefits of CBD, veterinarians will be cautious in suggesting its use. Because CBD is extracted from hemp and contains a minuscule amount of THC, it is legal. We encourage you to ask your vet about CBD use, but don’t be surprised if he or she does not want to officially endorse the use, as it is not yet recognized in the veterinarian community (but soon will be). If your pet is currently taking any medications, do not stop their prescription cycle without consulting your vet beforehand. While CBD can be an alternative option to conventional medicine, immediately discontinuing your pet’s current prescription cycle is not advised. Always consult with your vet before doing so. CBD is not known to cause any adverse reactions, regardless of the prescriptions your pet may be taking. Negative CBD reactions are very rare in mammals. CBD is not processed the same way THC is, making it a much more accessible compound. If you’re ready to give CBD a try, there are many different reliable companies out there to choose from. CBD for pets can come in the form of a tincture, treat/edible goodie, capsules, and even a topical solution for skin problems. A simple Google search of “CBD for pets” will provide you with plenty of options. Medicated treats are an easy option for picky pets. If you want greater control of the dosage, a tincture is also a viable option. If your pet is experiencing any skin allergies or conditions, the medicated topical solutions have great reviews. Many of the CBD companies online will provide you with the proper dosage amount for your pet, usually depending on the weight and severity of the condition. If the company you are looking at does not provide any dosage information, that’s a red flag. Again, while CBD has little to no recorded adverse effects, you want to find a company that has your pet’s best interests at heart, and providing proper dosage is part of that. Like any medication, it’s best to start low and go slow. You can use this simple reference chart below as a starting point for dosage. Most products recommend one to two dosages per day. Again, the dosage amount varies, depending on the potency of the product and weight of your pet. Notice how small those dosages are. Dr. Silver advises pet parents to start at Tier 1 twice daily and observe over a week. It may not be necessary to go to tier 2. If necessary, go on to Tier 2 twice daily and observe for a week. And again, if necessary to go higher, go up to Tier 3 twice daily. ** When in doubt, always start with a low dose. ** Keep in mind that every brand’s mg per drop content will be different. You will need to do some simple calculations to figure out the mg per drop of the brand you choose. You can continue to administer CBD to your pet at the recommended dosage. However, if CBD has been successful in treating your furry friend’s symptoms, you may be able to decrease the dosage. If you would like to lower the amount you pet is taking (for any reason, to save some extra money for example) taper off the usage slowly. No need to stop the medication completely, find what works best for your pet. While most of the websites that sell CBD are labeled for dogs and cats, a few websites offer medication for horses as well. Unfortunately, reptile, insect, and bird medication are not commonly offered. Research on the effects of CBD and cannabis have been much more limited in these animals, consult with your veterinarian before administering CBD to them. CBD became an important part of my life when my adopted chiweenie (Dachshund + Chihuahua) Teenie, was in chronic pain from an earlier leg injury. After trying conventional medicine with little to no results, I decided to give CBD a shot. After just one dosage, Teenie’s symptoms subsided. After a few months of using a CBD tincture 1-2 times a day, Teenie can now go 3-4 days with just one dosage. After experiencing the remarkable effects of CBD, I wanted to share my discovery with as many struggling pet owners as possible. You can read Teenie’s full story here. Is it okay to use CBD oil for pets? CBD oil for Pets is highly recommended by many pet care organizations. It's important to know what kind of effects CBD does on pets. I am interested in using this on my 700 lb horse and am interested in the dosage. Source CBD offers clean, high-potency CBD for horses! Up to 5000mg per bottle. The most effective and affordable CBD available! Hi. What is the best way to give or apply CBD for cat/dogs? Hey Angie. Great question. The easiest methods I have found are 1. Tinctures and 2. Edible Products. Both of these are easy to use and micro-dose, which is ideal for animals since they take much smaller doses than humans generally do. The tinctures allow you to get precise with the dosing down to each individual drop — and then you can add it to their food, a treat, or directly in their mouth. Edible CBD products are pre-made pet treats infused with CBD as an ingredient in a specific amount of CBD. I have a video which you might want to check out called CBD For Dogs The Easy Way. Can I use CBD oil with a dog with high ALT level? Can this be used with parrots? I’d like to make cbd treats for my cat. I plan on dosing each individual treat to ensure one does not get more tincture than the other, but will cooking them in the oven mess with the dosage at all? Not sure if the oil can actually evaporate when cooked at a high temp. Sorry if this is a silly question. Thanks! I bought a brand called CBD Pure. Do you know if the dosing of that product would be the same as what is listed on this site? My mastiff was recently diagnosed with a brain tumor and will begin radiation soon. Thanks for any help you can offer. Hey Tina. Thanks for your inquiry and I am very sorry to hear about your dog. I don’t have any experience with this brand. I recommend working alongside a vet to get the dosing correct. Keep in mind that CBD dosing for pets is much, much smaller than for humans. How much does your dog weigh? Knowing the approximate weight of your dog or pet can help you determine the dose. Is the CBD from tincture for human consumption the same for pets? I understand the dosage will be different according to weight. I just didn’t want to purchase “pet” CBD tincture when I have a good supply of the other. Please advise. Hi I am looking for a dosage for my horse. I purchased hemp terpenes 50 ml, 250mg…thanks! Hey Trudi. Thanks for your question. CBD dosing for animals is generally determined by weight. A good starting point is 0.2 mg – 1 mg CBD per 5 lbs of body weight per day. Most people divide this dose in half for twice-daily dosing. However since I am not a veterinarian, I recommend you speak with a vet with experience using CBD for the best advice. My favorite CBD vet is Dr. Gary Richter out of California. The above dosing is a recommendation I learned from him. Is CBD oil safe for kittens? Thanks for your question, Sandra. Please check with a vet before using CBD on a kitten or any pet. I think you put the decimal point in the wrong place in the dosage table. Should be ,125 not 1,25mg. Hi Darlene. Thanks for your comment. Sorry to hear about your cat. I completely understand your confusion. Unfortunately, there is a lot of mixed anecdotal information regarding cannabis. I am not a veterinarian so I am not qualified to provide you with medical advice. I recommend you speak with a veterinarian. Animals are very sensitive to THC so it is of extreme importance to be careful. Please speak to a vet. I recommend Dr. Gary Richter. I thank you for doing this. I am a veterinary technician in California where the veterinary medical board has prohibited veterinarians from prescribing, recommending, and even discussing cbd/cannabis with the repercussions being licence revocation. As a certified technician, I can discuss and work with clients to get them the information they need. With dispensaries everywhere and companies jumping on the pet cbd bandwagon, you never know what you’re getting. And Joe Schmoe at the dispensary has no veterinary medical knowledge to make ANY recommendation. I am very familiar with Dr. Silver and his product. He has been at the forefront of this since day one. If I am going to recommend a product to a client, I want to make sure I can stand behind it 100%. I’ve treated THC toxicity in dogs for 15 years of my career, and the last thing I want is a client who thought they were doing a good thing to give a wrong product based on wrong or a lack of information. I am so pleased to see you discuss that aspect. This is why cannabis needs to be legalized. If it’s legal, regulations will be in place as to ingredients, and dosing. Hey Sara. Thanks for sharing your feedback. It’s always good to hear from someone who works in the field. Are you familiar with Dr. Gary Richter? He is a vet in California who also works with cannabis products. Hey Karen. I am not sure what your question is. It’s always a good idea to speak to your vet before using CBD. Have you checked out the pet products offered by Bluebird Botanicals? If not, you may consider those. Please speak to a vet before using CBD with your dog. Hey Karen. We don’t have the medical background required to assist you with that information. Please consult with a veterinarian. Hi Jolette. I am not a vet. I also don’t sell CBD so I am not sure what you mean by you bought it from me. Please speak to a vet before using CBD on your pet. Please let me know if there is anything else I can help you with. Best of luck. My bearded dragon has swollen limbs from falling how much cbd oil should I give him to help the swelling go down and help him relieve the pain? Hey Matthew. Thanks for your comment. Sorry to hear about your bearded dragon. Unfortunately I know knowing nothing about bearded dragons. I recommend speaking to a vet before using CBD. My dog is 14 and in 2nd stage kidney failure. She was diagnosed about a month ago but since is having leg weakness and loss of appetite. Do you think that CBD oil will help her? Hey Jamie. Thanks for your comment and question. I am very sorry to hear about your dog. I know how hard that can be. It’s impossible to know if CBD will help her. The research on the anticancer effects of CBD is promising but still in its early days and a lot more research is needed before conclusions can be made. Is it possible CBD could help your dog feel better, more relaxed, and have a better appetite? Yes, it is possible but we don’t know for sure without trying it carefully. My recommendation is to OK it with your vet first and then give it a try to see if it helps in any way to improve your dog’s condition. My best advice to you is to seek the help of a vet you trust. The best candidate would be a vet who has experience working with cannabis. Dr. Gary Richter is one example. Please let me know if you need helping finding him and I will get you in touch. Always check with your vet before using CBD or any new supplements with your dog. I did purchase some and give her a few days before we let her cross rainbow bridge. A mass was also found on her spleen. On the days it was given she ate alot, and walked without weakness it seemed. Her last day before the bet came over was her best day in just over a week. I truly believed the CBS Oil helped. Also, my vet said she can’t advise either way on it since it’s not vet approved and can’t risk her licence. However, she loves what she has heard. What is your opinion on Elexinol for dogs in pill form? Is it safe, can it hurt your dog? My Queensland had a broken back leg when we rescued her from the pound. 7 years later she has what appears to be spinal stenosis and falls at time. we have been giving her hemp *& hip pills which help but she does have issues at times. would love to hear what you recommend for her. Hi Shale. Thanks for your comment. Sorry to hear about your dog. I know how hard that can be. I think Elixinol is a good brand with good products. The ideal product for your dog will be one which is easy for them to take. Some dogs do not do well with pills. I also always recommend speaking with your vet before using CBD, just to to be sure. Can hemp paste help a heart murmur? This seem to develop approximately two months after my dog had major surgery to remove stones from his bladder. He is a 6 pound Chihuahua and I was considering giving him CBD oil in hopes that this would help. He also called today’s picking up 1 foot at a time. The doctor mentioned something about soft tissue and put him on Medication. Hi Olga. Thanks for your question. Unfortunately we do not know the answer to your question. CBD is still in an experimental stage and many of these questions are not able to be answered yet. 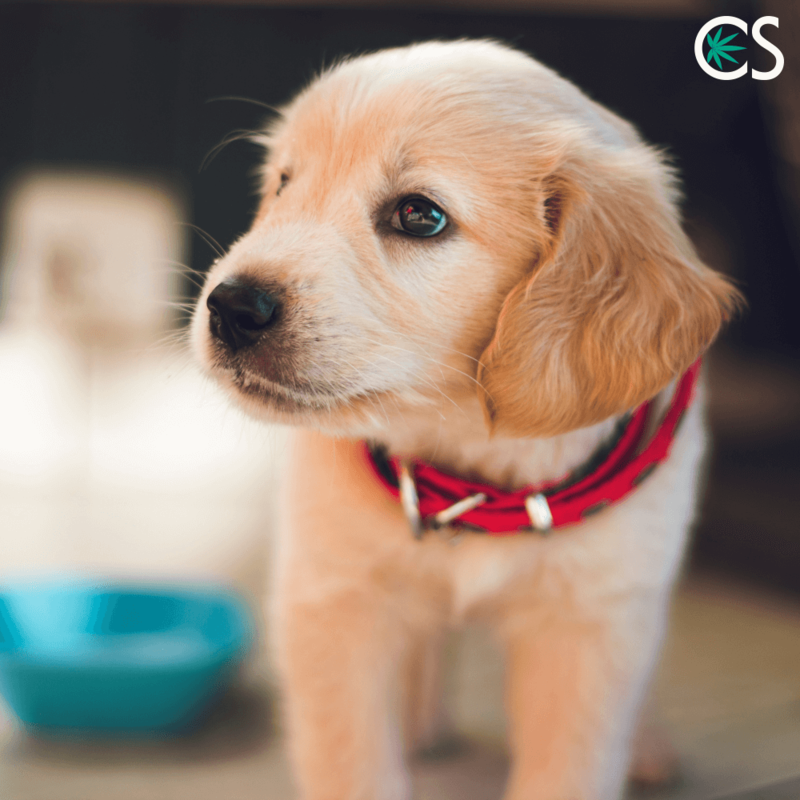 We recommend you speak with your dog’s veterinarian before giving your dog CBD, especially if your dog is already taking medication. Hi. My shih tzu will be 11 in December. He has seizures. Started after Frontline, using it 3 mos about 5 years ago. I started CBD 125mg bottle but just 2 drops 3 times a day. He had a seizure today. My concern is he takes phenobarb 16.2 mg plus 1/2 more in mornings and just 16.2 mg evening. I do the CBD around those. Is it a fact that CBD can at some dose level, block a liver enzyme that breaks down the phenobarb in his liver? I have Crit Care Nursing background over 35 years. So I understand a bir more.I have not talked to his Vet as I chose to start it after a one time 3 seizures in 1 day. Any ideas appreciated. Thanks. Hi Endrea. Thanks for your question and sorry to hear about your dog’s seizures. I would definitely speak to your dog’s vet about the possibility of drug interactions as this is something you should not ignore. Read more about CBD + drug interactions basics here. Also please do talk to your vet about what the best approach would be. Best of luck. Aside from cost-related issues, why is it important to keep the CBD level low in pets? Pure CBD doesn’t have psychoactive effects, so why shoot so low and assume higher CBD doses would be harmful? Hi Heidi. That’s an excellent question. We have always learned about the dosages from veterinarians. Their approach was always that dogs and animals require a lower dose of CBD than humans. It may be based on the fact that dogs and pets are more sensitive to cannabinoids. But we don’t know for sure and it’s certainly an interesting point to research. We have certainly seen higher doses of CBD used for pets safely such as in this well known study on CBD for dogs from Cornell University.